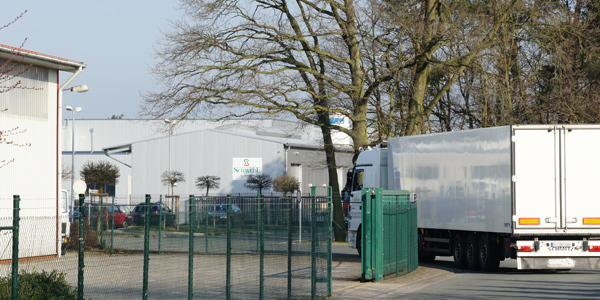 You will find us at our company in the north of Germany - north of the city of Osnabrück - specifically in the borough of Wallenhorst / in the Hollage industrial area. Leave the BAB 1 at the Wallenhorst exit and take the B 68 trunk road towards Bramsche. Take the next exit but one, "Industriegebiet Hollage", and cross the roundabout. Continue for around 2.8km on Hansastrasse until a traffic light and then turn left into Penter Strasse. We are on the left-hand side. 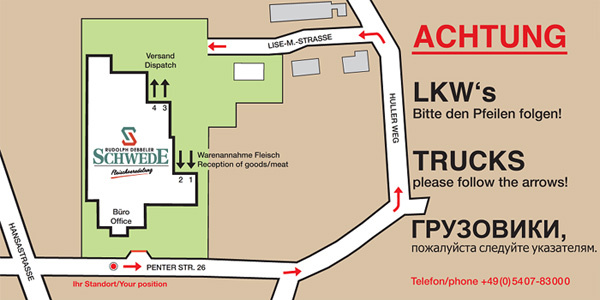 For delivery and heavy-goods vehicles please use our rear access road via Lise-Meitner-Strasse!